What are ‘liveaboards’? What is liveaboard Diving? Diving holidays can be split into ‘resort’ diving, i.e: staying in a hotel with an adjacent dive shop or center or living on a boat, and hence the name ‘liveaboard diving’. Liveaboard boats are usually specifically designed to facilitate scuba divers and allow for 3 dives daily. They inherently hold an advantage over static dive operations by virtue of being flexible in covering a vast area. In other words, liveaboard dive boats are able to access more dive sites and pick the best dive sites from various areas. 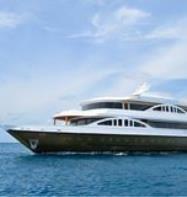 A well equipped and well operated liveaboard dive boat provides the perfect diving holiday. There are quite a number of liveaboard boats worldwide and picking one can be quite challenging. We have tried our best to aggregate a list of the best live aboard boats worldwide, split by country. Every liveaboard boat has a dedicated profile page which has media tagged to that liveaboard as well as reviews, dive logs and articles. You are also, able to follow liveaboard boats and any content that gets tagged to that liveaboard will appear in your dive stream. By getting abundant information about various liveaboard boats – you can gain the perfect insight to plan a perfect diving holiday. We also advise reading up on our destination summaries on the relevant country that you are considering for your next diving holiday as this may provide you useful information about the best time of year, best areas to dive and the logistics on how to get there. Every dive boat listing has contact details - email, phone number, website which we try our best to maintain up to date. One of the most important things to factor in when planning your Diving Holiday is dates of the trips which the liveaboard boats operate. We are working hard to build up a list of all the trips which the boats operate and this will be available in the nearest future. We hope that you find this list useful & if so, share it with your friends through ‘facebook’, ‘twitter’ or ‘email’.